The Batman Begins Shooting Summer 2018? A new rumor suggests that Matt Reeves' Batman movie could start production as soon as next summer. Warner Bros. has been throwing a lot of new projects around and some have started to get lost in the shuffle, as actors attached to projects seem to be as in the dark as the general public when it comes to what's going on behind the scenes at the studio. One of the projects that seems to be in limbo for Warner Bros. and the DCEU is the often-talked about The Batman project, which has seen a slew of changes over the last year. According to The Wrap's Umberto Gonzalez, the production of The Batman could start as early as next summer. This is the first positive news to be revealed about the movie in some time and it comes from a Q&A session from Umberto Gonzalez's Periscope account. Although the news is positive, Gonzalez threw a big fat "if" into the mix by saying that the production will start next summer, "if everything falls into place." As we all know, that is a giant "if" right now since nobody is even sure if Ben Affleck is still attached to the project. Ben Affleck's exit from the project is heavily rumored to be announced after the promotional cycle for the upcoming Justice League movie, which hits theaters this November. 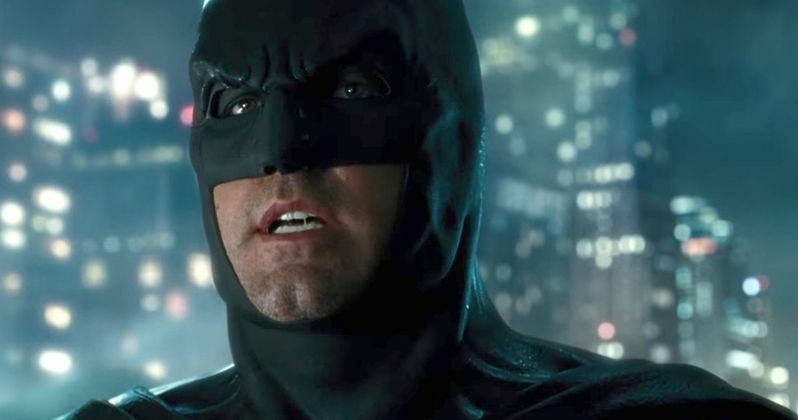 Nobody has come out and definitively announced that Ben Affleck will leave the project, but nobody has come out and flatly said that he is starring as the Dark Knight in the movie that he was once signed on to write, direct, and star in either. There have been vague statements from the actor and not a peep from director Matt Reeves or Warner Bros. about the entire situation. Another recent development is the inclusion of Deathstroke in the movie. Ben Affleck fought to use a villain that has not been used before on the big screen and went as far as to cast Joe Manganiello as Deathstroke. But news from the CW's Arrow now hints that Deathstroke is out completely as the DCEU no longer needs him for The Batman. Deathstroke was a very popular character on Arrow, but was written out of the show to bring him into The Batman. This is obviously not happening any longer as Matt Reeves continues to write the new script. If production were to start next summer as rumored, it would give Matt Reeves plenty of time to finish the script and complete the casting process for whatever characters that he needs for The Batman. There's no real reason that the project can't start filming next year, erven if they have to cast a new Batman to replace Ben Affleck. Warner Bros. could possibly start shooting The Batman a few months before Suicide Squad 2 and even use whomever plays Batman in both movies. Regardless, there is still a lot of information up in the air for The Batman at this time.